What took you so long to start saving energy and our money? Thank you for your comment. 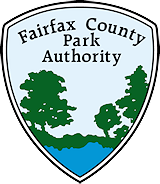 The Park Authority has a long track record of successfully saving energy and working to be “green” but only just joined in the county effort to brag about it via blogs and information dashboard. We are very proud to report that we led the way hiring staff to address these issues in 2007. Since 2009, our estimated savings (cost avoidance) have been over $1.5 million dollars. Equally important are the new approaches to reducing pollutants that degrade our environment. Thank you for your interest.